Remedial waterproofing and concrete repairs are a fact of life for any organisation whose assets include sizeable concrete structures. 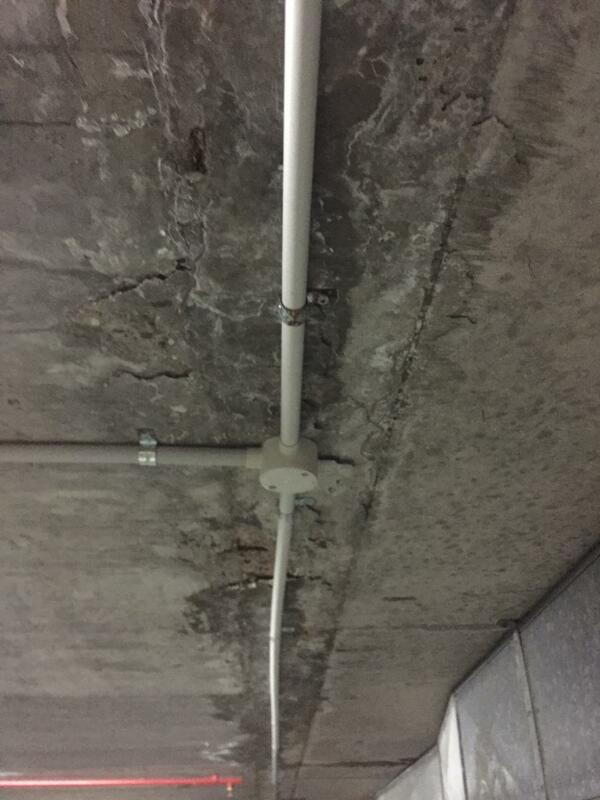 We typically see leaking concrete slab ceilings in multilevel car parks. Undercover or underground car parks are especially prone to water seeping through the concrete. Whether the source of water is from a leaking crack or a joint/pipe penetration, the seepage will carry calcium and/or lime with it, through to the surface of the concrete. Unprotected assets such as cars, may be at risk of damage by the calcium deposits dripping onto the cars and etching into the paintwork. The problem with water seepage dripping onto cars, is that the minerals that etch into the surface of the car’s paint finish, make it hard to remove with a simple wash. This is especially the case if the water spots are not addressed immediately after it has happened and/or if the car is exposed to the hot sun before washing it off. Even a slow drip over night can permanently damage a car’s paintwork, which is more visually evident on dark or bright coloured cars. 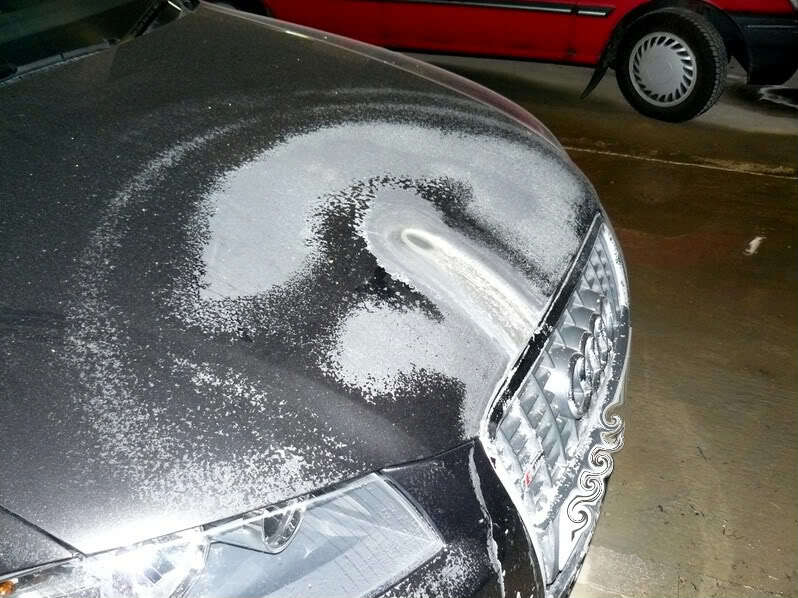 If the calcium deposit is not possible to clean off, then the tenant/car owner may need to have the car re-sprayed. In many cases the whole car will need to be re-sprayed, not just the one panel that is affected. Depending on the car’s age, a perfect match will be near impossible to achieve. The tenant/car owner may decide to put a claim through to Body Corporate to cover the cost of the re-spray. Depending on the extent of the seepage, a selection of the car park’s parking lots may have to be blocked off until repairs have been completed. 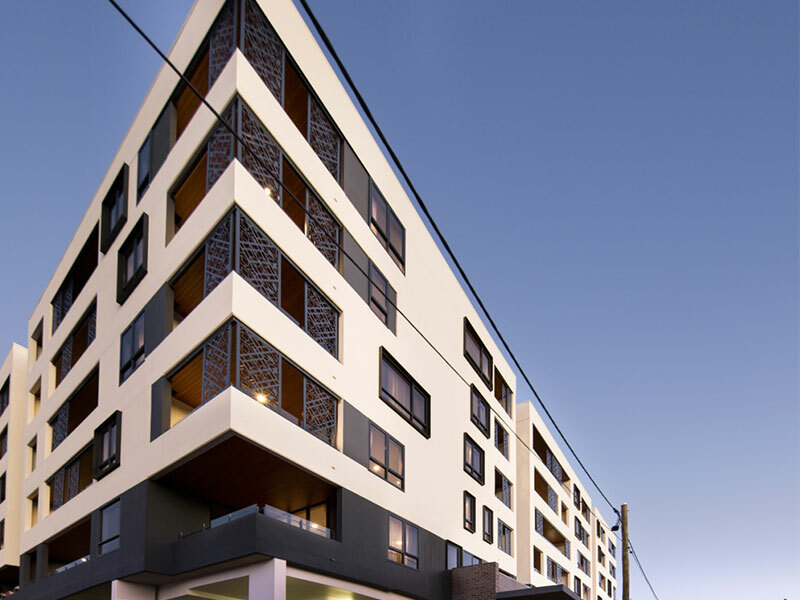 As a consequence, the tenants are inconvenienced by not having access to their allocated parking lot, and the Body Corporate miss out on parking fee income during the down-time in addition to the expense of the repairs to be carried out. 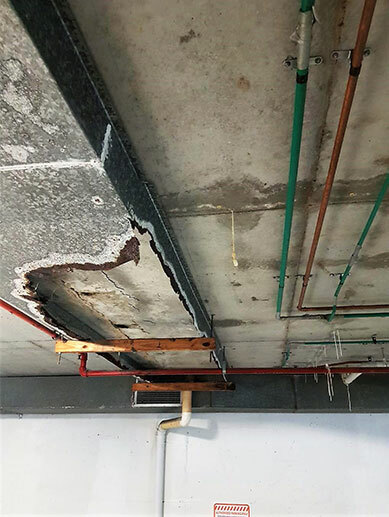 In hindsight, a preventative maintenance program of the concrete structures, is likely to be more cost-effective depending on the extent of the damaged concrete. A regularly scheduled maintenance inspection means that potential issues with water damage and concrete deterioration are detected and addressed before they develop into more significant problems. Image: Unprotected assets such as cars, may be at risk of damage by the calcium deposits dripping onto the car and etching into the paintwork. The water and the mineral salts can cause serious damage to the property as the concrete deteriorates. Timely preventative maintenance of the concrete, is the key to the most cost-effective way to protect the concrete from serious deterioration. Waiting for the concrete to be spalling will lead to extensive repairs with associated expenses. As soon as you see the symptoms such as a crack, seepage or a small rust stain, it is best to get an expert in to inspect it. The small rust stain may just be simple thing like a rusting steel tie, or it could be more comprehensive such as rusting reinforcement steel. Over time, and if not treated, concrete cancer can develop, and consequently weaken the integrity and safety of the building. 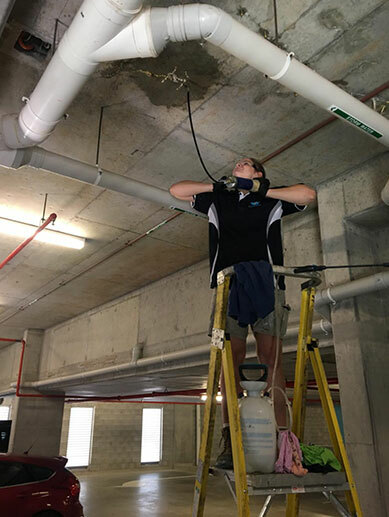 With spalling concrete overhead, there is a heightened risk of injury to the public as pieces of concrete may fall off the slab ceiling and hit a person or property. Band-aid fixes, like drip trays, can accelerate and hide the symptoms of concrete cancer. Inevitably, sporadic ongoing repair only leads to asset deterioration, a shorter asset lifetime and increased long-term capital cost. Waterstop Solutions has the expertise to fix the problem of water leaking onto vehicles in degrading structures. We use a moisture-reactive, flexible, durable polyurethane and inject it under high pressure, deep into the slab or source of water entry. Having a reputation built upon countless successful repair projects, Waterstop Solutions’ processes and technologies ensure the durability of clients’ assets for years to come.